In the past, selling a property or house was a hassle. House owners were very limited when it came to selling their home. Today, internet has overturned the entire process, opening you to more offers and giving the power in the hands of the seller. You do not pay any fees when it comes to selling your house privately. You have to take care of taking photos for advertising and pricing your property, arranging open house and meetings with potential buyers all by yourself. If you already know someone who is interested in buying your home, this is a good option. A real estate agent can take the stress of the sale out of your hands if you can find a good one near you. You only will have to pay a tiny percentage which is usually between 0.75 to 5% of the final sale price in commission to real estate agent. The most convenient out of all the ways is probably selling house online. Online real estate agents can make the process really easy by listing your property on hundreds of listings websites. Online real estate agents are a lot cheaper because they do not have to pay for a high street presence. Property auctions cut out a lot of the hassle that comes with selling your house. This is what makes it a very popular choice of property owners. The buyer is legally obliged to pay up as soon as the hammer falls. The downside is you could sell your house for a lot less than what you hoped for. There are a range of specialist cash buyer businesses online that buy your home outright. But they may offer you less than the current market value of your home. 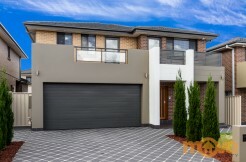 Are you thinking about selling your house or flat in Westmead? Your ideal buyer is out there somewhere and Move Realty will help you find it! Today, everybody begins there house hunt by searching online. 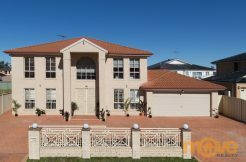 Explore the different ways to Sell your house fast with Move Realty, your local real estate in Westmead. Call us at 02 9631 1101 to hire our real estate services.